Earlier on in my career as a content designer someone once said to me that no one reads government websites for fun. When you work on GOV.UK every day, it can be easy to forget what it’s like for someone who isn’t as familiar, someone who needs something urgently, or someone who needs to do a thing with government before they can get on with the rest of their ‘to do’ list. Even though I haven’t set up a business myself, I know that browsing more than 50 pages to do so is the opposite of fun. Of course, we didn’t set out to get rid of a specific number of pages. We started with user needs and talked to people from the very beginning and throughout the project. We started with fresh pieces of paper, post-its and minds. For example, we had a feeling that ‘Avoid and report anti-competitive activity’, whilst important, wasn’t the first thing that sprung to people’s minds when starting a business. We reviewed existing user research that helped give us an understanding of how people think, and go about starting a new business. Their actions, emotions and pain points were recorded on experience maps. One of the main findings was that their interactions with government were limited to compliance-driven needs. These were seen as peripheral to users’ mental model of starting a new business. I’d never go to government for help and advice, no… When it comes to tax, and limited company, then I’d go to government. When I say ‘we’, I don’t just mean Government Digital Service (GDS). GOV.UK content for the general public and small businesses is called ‘mainstream’. This is published and maintained by GDS, who work with government departments and agencies to ensure the facts are right. But people don’t care about internal processes – they just want to ‘do the thing’ (for example, set up their limited company, or register for self-assessment). 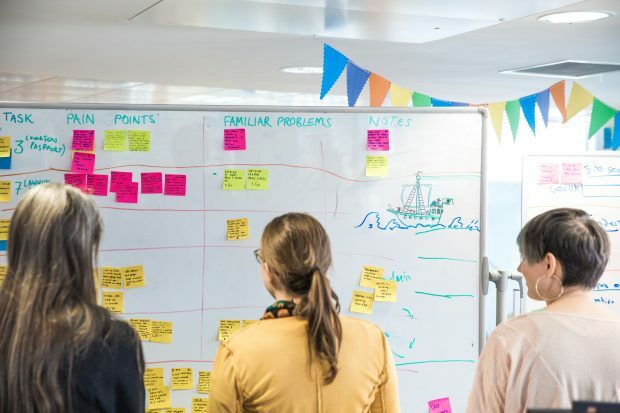 ‘We’ included content designers, user researchers and subject experts from Companies House, Department for Business, Energy and Industrial Strategy, HMRC and GDS. Be bold, do something and learn from it. This is easier said than done. We found that real quotes and videos from user research helped show that change was needed. We also visited and talked to business support helpline advisers to share new content with them and listen to their feedback. We talked to people setting up businesses throughout this project, not just once. Not only was I inspired by those starting a new venture, I learnt something new every time and was motivated to make improvements after every session. It’s clear and easy to use. I could have written that myself. One of the most positive experiences on this project was the way in which we were able to draw on evidence from both data and user research to make the case for change. And this doesn’t stop when we hit the ‘publish’ button (or the ‘unpublish’ button). 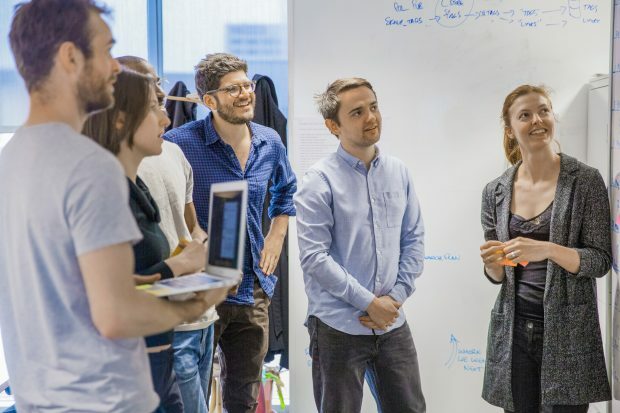 We’ll keep evaluating how well GOV.UK is meeting the needs of people starting a business in the UK, and collaborating with our colleagues across government to make it better. We’ve also shared feedback on GOV.UK search with the teams working to improve how people find things. 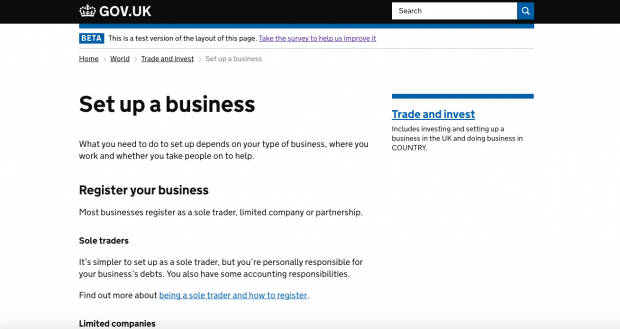 We’d welcome your feedback on the ‘Set up a business’ pages on GOV.UK.